Tom McClintock of California says you have to have a gun to commit a financial crime. That is an unfortunate choice of words and reminds us of Spencer Bachus of Alabama, also a Republican, who once said that regulators exist to serve the banks. What is America coming too? These Republican leaders are so utterly corrupt that it is shameful. At least the Democrats don't flaunt their corruption in quite this manner! The disturbing thing is that this housing bubble and crash was the biggest financial crime in the history of mankind. Tens of trillions of dollars were transferred from the middle class to the 1 percent. And this McClintock was the same guy who viewed Hurricane Sandy relief as being pork. Heaven help his district if it ever needs a bailout from catastrophe. What is really unusual is that the 4th district that Tom represents is the most government dependent district that there is. It takes many governmental jobs percentage wise for a mountain economy to prosper. There has to be massive road clearing, fire control, animal management, pest control and forest management, in an economically sensitive environment, almost the length of the Sierra Nevada range. Is all that money that goes to the resource you represent a porkfest Mr McClintock? The hypocrisy of this congressman is nauseating. And before we say that it takes a gun to commit a crime, we have to consider that fraud is a crime. Fraud is where you misrepresent what you are selling. Securities fraud is criminal. But if the laws are not applied, then no one goes to jail. What about Henry Paulson selling bogus CDO's based on loans doomed to fail? Isn't that massive security fraud? What the congressman should have said was that financial crime without a gun goes without prosecution because we congressmen make sure it goes without prosecution. He should have said the rule of law is not something that needs to be enforced, and in order to prevent enforcement we can even resort to changing the law to suit the crime! 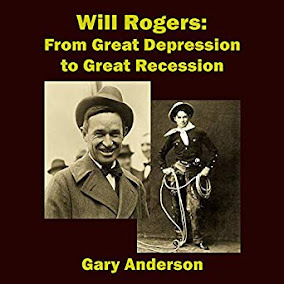 In my ebook, Will Rogers, From Great Depression to Great Recession, I quote one of the greatest and perhaps the most popular American, Will Rogers. He said that the bankers were a hurtful group, who did great damage to the United States and the people during the Great Depression. 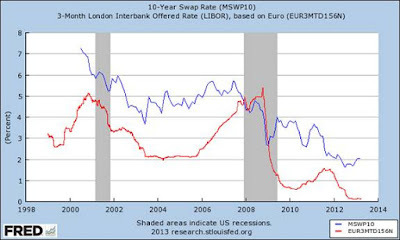 And in the present Great Recession, and beyond, it appears nothing has changed.